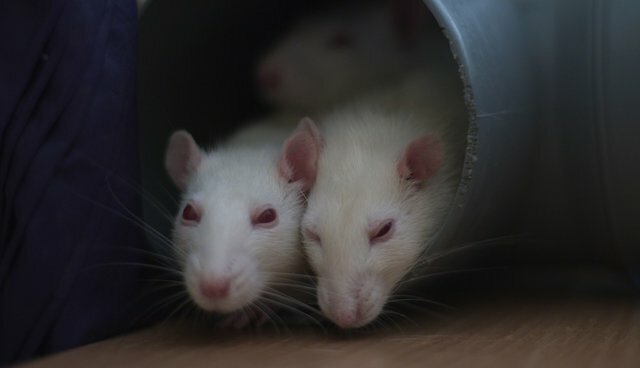 In response to my recent essay called "Rats Like Tickling: Why is the Animal Welfare Act So Lame?," in which I discussed the well established scientific fact that rats, mice, and many other animals display empathy and are highly emotional and sentient beings, I received many emails asking why these animals continue to be used in the countless millions in highly invasive research and why does the federal Animal Welfare Act ignore research on these animals? Yes, these rodents are not considered to be animals, and, in my above essay, I pondered the question, "How do you explain to a youngster that rats aren't really animals?" It beats me, but it's clear they're written off because of their widespread use and because they make a lot of money for those who wantonly breed and use them in all sorts of research. Am I being "too soft"? In response to my previous essay, Dr. Jaak Panksepp, whose research essay motivated my writing it, wrote the following note to me. It "sounds like you were concerned about the ethics of our research in one of your recent blogs. Just wanted to note, if you had not closely read the paper, that the only stressor was one that is used in all Vet Clinics around the world (in trying to help animals with medical problems), namely a standard injection ... which is essentially the same our kids and adults get as part of the routine of modern medical life. ... In my mind the issue is not black-white, but an overall cost-benefit analysis. I don't think the behaviorists, with all their endless fear conditioning, ever considered such issues ... and they certainly provided very little knowledge that was medically useful." "Many thanks for your informed and well thought out note - much appreciated, as you likely know, i hope! i wasn't criticizing the injection - i know millions of people, me included, have subjected a companion dog(s), for example, to some pain to help them heal from one malady or another or to prevent a disease - the major point and one that i will continue to make is that the federal animal welfare act really is lame - it has not incorporated new science, yours included!, into a much-needed and long overdue revision - we know, based on yours and others' research, that mice and rats and i'm sure other rodents, are sentient beings and they display empathy and a whole host of positive and negative emotions - why has this detailed scientific research not been factored into the act? and how can they continue to say rattus and mus are not animals - this is just absurd - of course they're animals - there are a number of human analogies about this class or that not really being 'human' and it sickens me to think about this perverse line of thinking ... anyway, i hope that you and others who do research on rattus and other animals get those who revise the animal welfare act and other legislation to make changes and not lag behind solid science - it's been years since we've known about the rich and deep emotional lives of 'standard lab animals' and it's about time that their emotional capacities are used to protect them, not write them off as 'not animals.'" "The question is not, 'Can they reason?' nor, 'Can they talk?' but rather, 'Can they suffer?" Note: A recent survey by the Pew Research Center shows the following results about attitudes toward animal research: "The general public is closely divided when it comes to the use of animals in research. Some 47 percent favor and a nearly equal share (50 percent) oppose animal research. Support for the use of animals in research is down slightly from 52 percent in 2009. By contrast, there is strong consensus among American Association for the Advancement of Science (AAAS) scientists for the use of animals in research (89 percent to 9 percent). Among the general public, men and women differ strongly in their views about animal research. Six-in-ten men favor the use of animal research. By contrast, 35 percent of women favor animal research while 62 percent oppose it. College graduates, especially those who studied science in college, tend to express more support than do those with less education for using animals in scientific research.